Lancaster is home to the Sierra Sun Tower, the only commercial concentrating solar power (CSP) plant in the United States. The tower supplies electricity to Southern California Edison and will power up to 4,000 homes. 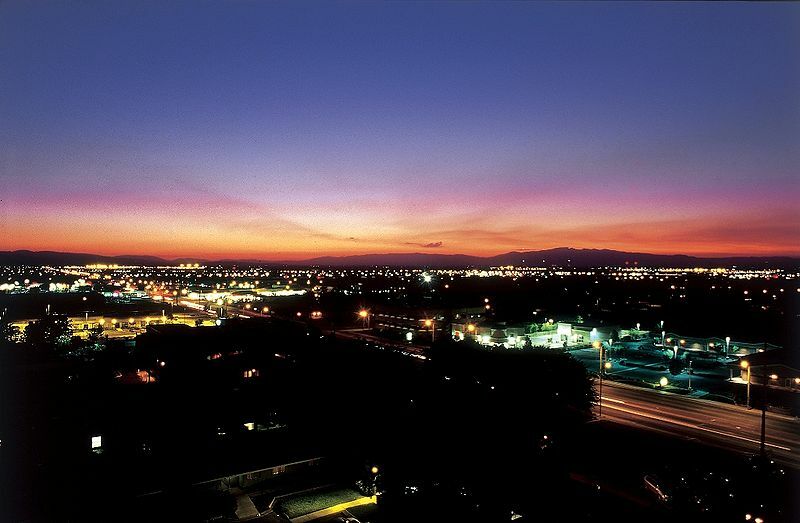 Lancaster is a city of approximately 156,000 people located 70 miles north of Los Angeles and covering 94 square miles of the Antelope Valley. Lying along the western edge of the Mojave Desert, Lancaster is rich in sunshine and wind resources. The city aims to harness its more than 350 annual days of sunshine to generate solar energy, producing as much power as the community utilizes. By accomplishing this feat, Lancaster aims to become one of the world’s first net zero cities for electricity use by 2020. The net zero campaign was initiated by Lancaster Mayor R. Rex Parris, who was elected to the Lancaster City Council in 2008 and is currently serving his third term as Mayor. His pioneering vision for the City of Lancaster inspires comparisons to the groundbreaking Apollo Project, in which Lancaster played a significant role as a key player in the aerospace industry. To catalyze the net zero city campaign, Mayor Parris led the launch of the “Solar Lancaster” program, an innovative public-private partnership with solar firm SolarCity which enables local residents and businesses to install solar energy systems at a significant cost savings over their existing energy bills. Mayor Parris has also led an initiative to streamline and fast-track renewable energy developments of all kinds, from small single-home installations to major developments which will provide hundreds of megawatts of renewable energy. While the permitting process for homeowners wishing to install solar energy can take weeks or even months in some jurisdictions, Lancaster’s approval process is now performed over-the-counter. Furthermore, zoning adjustments have been made to allow various types of renewable energy in additional areas throughout the city. On March 26, 2013, the Lancaster City Council adopted a new ordinance requiring new single family residential units built within Lancaster on or after January 1, 2014 to provide solar-generated power at a minimum average of 1kW per unit. This revolutionary approach has already generated significant progress in Lancaster’s quest to become a net zero community. To date, over 1700 single-family residential solar permits have been issued. Also more than 100 homeowners have taken advantage of the Solar Lancaster program, in addition to a variety of businesses which include some of the city’s largest energy users. A project to install solar energy systems on six municipal facilities throughout the City generates 1.5 MW of renewable energy and is projected to save taxpayers approximately $6 million over 15 years. In addition, the city’s Lancaster Power Authority, formed in 2011, partnered with Eastside and Lancaster School Districts to install 7.5 MW of solar energy-producing parking shade structures at 25 school sites throughout Lancaster. These projects not only provide the school districts with substantial energy savings and shaded parking, but also will generate estimated revenue of $20 million to the City over the life of the project. Other success stories include the KB-BYD project, which united China-based technology and manufacturing giant Build Your Dreams (BYD) with KB Home to create a never-before-attempted affordable solar energy housing community. This partnership brought BYD’s advanced battery technology to homes in west Lancaster, providing them with a way to not only utilize solar energy, but also to store the energy for use during nighttime hours or power outages. In February 2014, KB Home announced the completion of its 1000th solar home; of which more than 200 have been built in Lancaster. In October 2014, the city unveiled an energy storage system at the Lancaster Museum of Art & History (MOAH) and its first electric vehicle fast charging station, which was installed by partner Green Charge Networks in the museum parking lot. By storing energy for use at peak times, the storage system offsets utility demand charges to the city, which since the early 2000s, have increased throughout California by more than 7% each year and have made up approximately half the electric payments of many businesses and institutions. According to Green Charge Networks, their system cuts these demand charges by up to 50%. The EV fast charging station, operated by NRG eVgo, charges compatible vehicles to 80% capacity in only about a half hour, a fraction of the time it takes the city's seven other EV charging stations. These projects were made possible in part by state funding from the California Energy Commission, which has a grant program for alternative transportation advancement. The City also actively recruits solar developers, who have been quick to discover Lancaster’s abundant natural solar resources. The firm First Solar broke ground on its 230 MW AV Solar Ranch One in summer 2011, and Lancaster is already home to the nation’s first 5 MW power tower, constructed by eSolar. 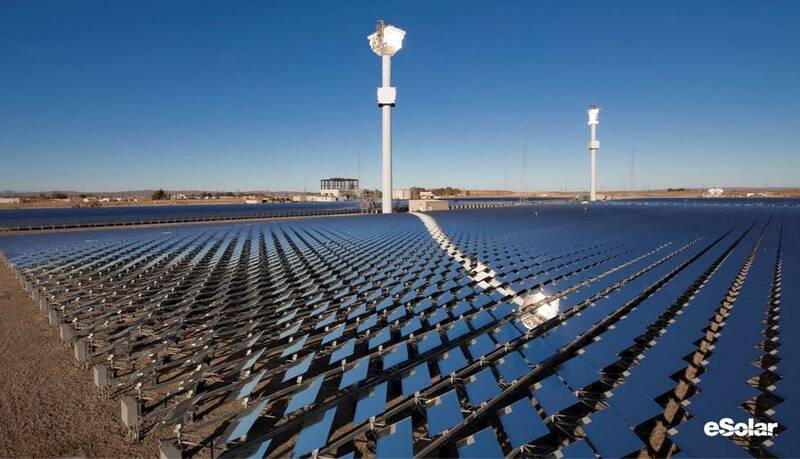 Other projects include a partnership with US Topco Energy, Inc., a division of Topco Scientific Taiwan, to build 50 MW utility-scale solar systems, and Beautiful Earth Group’s construction of two 19 MW photovoltaic plants. Each plant will be able to annually generate 16 gigawatt hours of electricity, approximately enough energy to power 10,000 homes. In 2013, Antelope Valley Solar Projects began construction of a 579 MW project. This SunPower technology project encompasses more than 3,000 acres and is anticipated to bring approximately 650 jobs to the Antelope Valley. To create a mechanism to spread Lancaster’s success and expertise in the field of renewable energy, the city led the establishment of the California Clean Energy Authority (CCEA). In addition, the City created the High Desert Power Authority (HDPA) to support the transmission of renewable electricity from Lancaster and the surrounding region to high-demand areas in the Los Angeles basin.Job creation is a key component of Lancaster’s renewable energy strategy. A local unemployment rate of over 15 percent has led Lancaster’s leaders to seek new and innovative ways to create jobs in a down economy. To accomplish this, the City is partnering with local higher education institutions such as the University of Antelope Valley to develop programs to ensure that the local workforce has the skills needed for future jobs in the renewable energy industry. In July 2012, Lancaster was named the solar energy capital of California, with 132 watts of solar energy production capacity per capita. This is more than three times the per capita capacity for the runner-up, San Jose with 40 watts per capita, and over five times that of third-place San Diego at 24 watts. In addition, Lancaster boasts three of the state’s top five solar ZIP codes.